A congenitally narrowed spinal canal is one of the structural factors often implicated as contributing to a spinal stenosis diagnosis. There are many possible variations on congenital canal narrowing, but most are not inherently problematic unto themselves. However, when compounded with additional spinal abnormalities, at the same vertebral levels, a congenitally narrowed canal may certainly cause or contribute to central spinal stenosis. In some unfortunate patients, symptomatic versions of congenital spinal stenosis may exist from birth when canal narrowing is severe. Congenital stenosis may describe a general reduction in the overall size of the canal throughout the entire length of the vertebral column, but more commonly involves areas of focal stenosis in particular levels of the spine. This essay provides a detailed look at spinal stenosis concerns that are inborn or enacted by congenital vertebral and intervertebral abnormalities. Simple reduction in size of the vertebral foramen. Atypical shape of the vertebral canal. 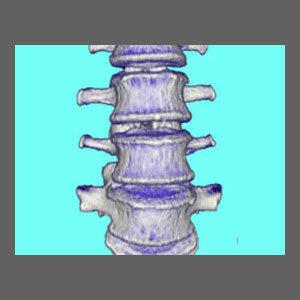 Unusual shaped vertebral bodies or vertebral arches. Thick or atypical lamina or pedicles. Congenital disc issues or vertebral alignment abnormalities. As mentioned above, congenital stenosis may affect the entire canal, making operative treatment impractical, or may only exist at particular levels, making surgical intervention far more effectual, if treatment is indeed necessary. Most people who demonstrate a congenitally narrow central canal will not have symptoms without other contributing causations. Statistically, most congenital canal reductions are minor and not problematic. However, the occurrence of other contributory factors, like disc desiccation, intervertebral herniation, osteoarthritic changes, atypical vertebral alignment or atypical spinal curvature can all be exacerbated by an already congenitally reduced canal space. Some patients are actually born with a markedly decreased canal space which is constrictive enough to bring on spinal stenosis symptoms even in the absence of other contributing factors. In most cases, people with congenitally narrow canals may be more susceptible to experiencing spinal stenosis pain as the normal spinal aging processes further decrease their central canals, often to a symptomatic degree. For people who have been diagnosed with a congenitally narrow canal, there is usually nothing to fear, as long as no pain is present, but the condition should always be monitored by a neurologist as the patient ages. Every patient may have a unique version of congenital narrowing. 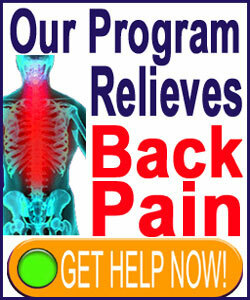 Some patients demonstrate this throughout the spine, while others may only have it in one or more vertebral levels. Obviously, the less areas affected, the less the chance for the congenital condition being a factor with spinal stenosis later in life. Having a narrowed canal in the mid to lower cervical spine or lower lumbar spine particularly predisposes a person to potential symptoms, since these locations are virtually certain to be considerably affected by spinal degeneration as time passes.